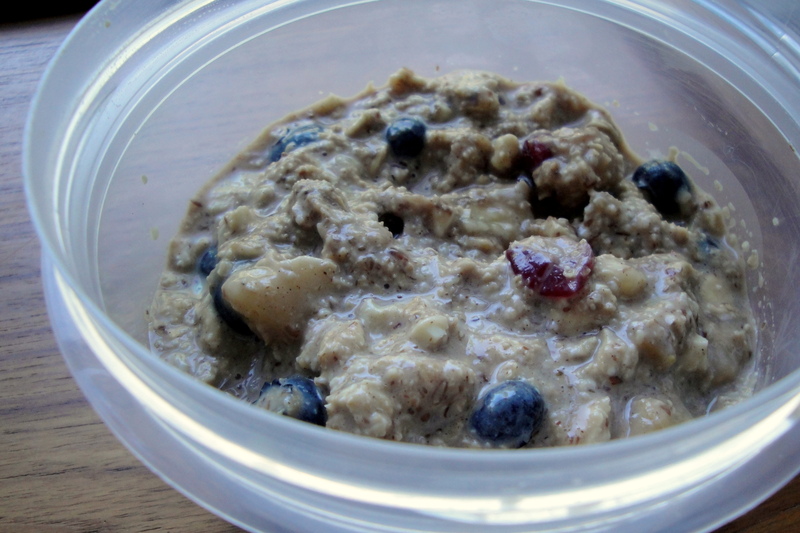 I first got the idea for overnight oats from one of my favorite blogs, Carrots ‘N’ Cake. The blogger, Tina, raves about them constantly so I figured it was time to give them a try. I absolutely love oats, in oatmeal, in cookies, in bread, as a crumb topping — oats are awesome! But I’d never used them in this particular way before. They’re a fantastic breakfast, because you throw it together the night before, and when you wake up, it’s an instant breakfast! All you have to do is pull out a spoon, and dive in. The oats are creamy, but not the kind of creamy you get from cooked oats. 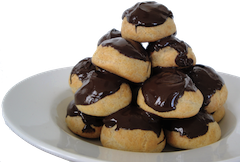 They are hearty and delicious, and just mildly sweet. Plus, they are incredibly versatile, and I bet there are tons of combinations that I haven’t even considered yet. I kind of just throw in whatever ingredients I can think of that are lying around, and I haven’t had a bad batch yet. Since I first made them a week ago, I think I’ve had them six out of seven days, and I can see that pattern continuing on long into the future. Mix all dry ingredients (oats, oat bran, flax seed meal, and any additional toppings) until combined. Add soy milk and mix until incorporated. Put in the refrigerator overnight. In the morning, take out and enjoy! The oats will have absorbed all of the liquid, if you’d like, you can add a splash more of milk to your desired consistency. 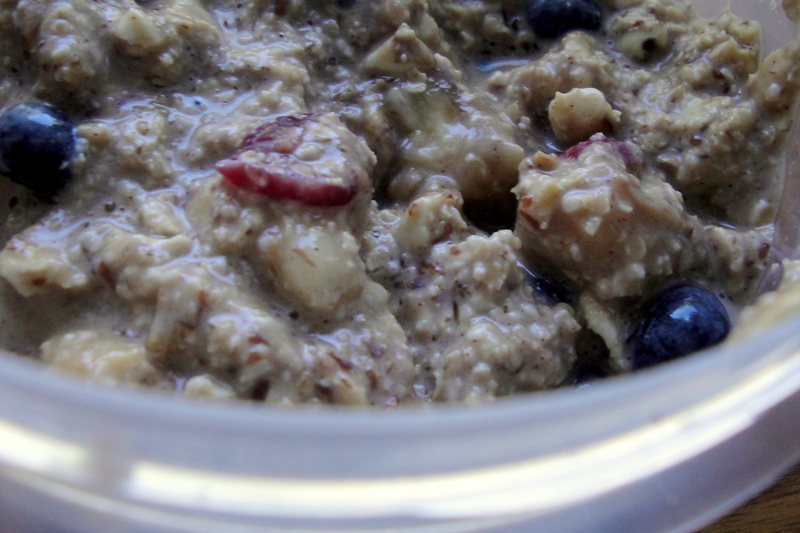 These oats are such a great way to start the day, and really couldn’t be easier. And depending on what types of flavorings you include, one day’s oats could be completely different from the next, making it seem like a whole new breakfast! They fill you up, and keep you satisfied for hours. I apologize for these really dark photos, I took them late in the evening and early in the morning. But good news! I got my hands on an SLR today, so I’m going to play around with that this weekend and see how it goes. I can’t wait to get my feet wet with a real camera! I’ve started looking into getting my own, and am eyeing the famed Canon Rebel — I’m going to start saving up for it ASAP! I made the components for a delicious dessert tonight that I’m serving tomorrow. More on that soon, and a treat I made for my coworkers this week. Stay tuned! With love, sugar and oats. Enjoy!